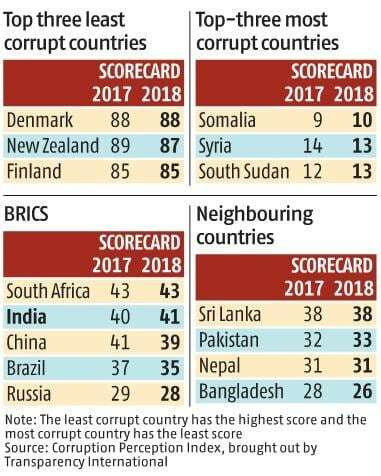 India was a tad less corrupt in 2018 compared to the previous year, a corruption perception index has found. However, the improvement is slow as Transparency International, which brought out the index, said India moved from 40 in 2017 to 41 in 2018. Despite a spectacular public mobilisation in 2011, where citizens demanded that the government take action against corruption and advocated for the passage of the comprehensive Jan Lokpal Act, these efforts ultimately fizzled out, with little to no movement on the ground to build the specialist anti-corruption infrastructure required. India is at the 78th position among 180 countries according to the index. 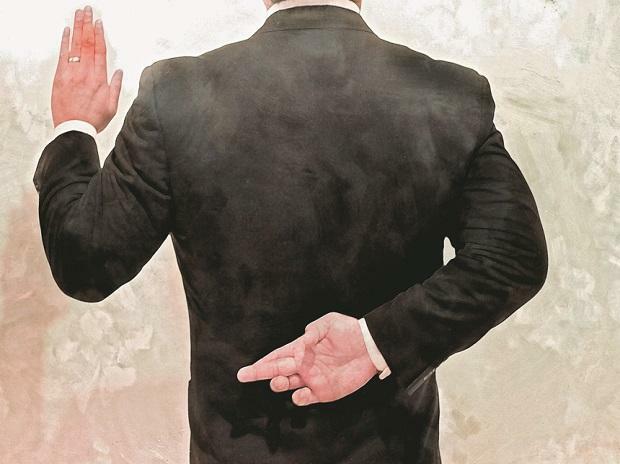 “Corruption is much more likely to flourish where democratic foundations are weak and, as we have seen in many countries, where undemocratic and populist politicians can use it to their advantage," said Delia Ferreira Rubio, Chair, Transparency International.